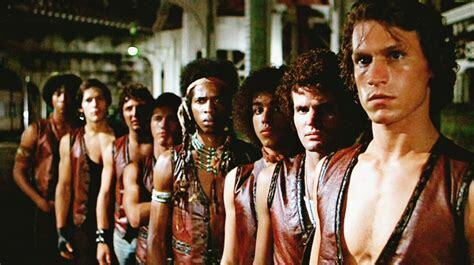 The Warriors, the comic book-stylized film in which a New York City gang tries to make its way home after being wrongly implicated in a key gang leader’s death, celebrated its 40th anniversary this month. Initially released to controversy due to copycat violence in some theaters during some of the screenings and the burgeoning presence of real-life gangs roaming New York streets, The Warriors has since become a symbol of pop culture iconography both as a cult classic to generations of fans globally and an early template for the kind of action films that mixed comic book narrative and martial arts-stylized fight sequences. Directed by Joseph Ruben (The Pom Pom Girls), 1984’s Dreamscape has the unique distinction of being the second film released to theaters that was rated PG-13 under then new MPAA ratings guidelines, following Red Dawn, which come out five days earlier. And interestingly enough, the film stars Kate Capeshaw, who starred in a violent PG-rated blockbuster that would help create the PG-13 rating: Indiana Jones and the Temple of Doom. 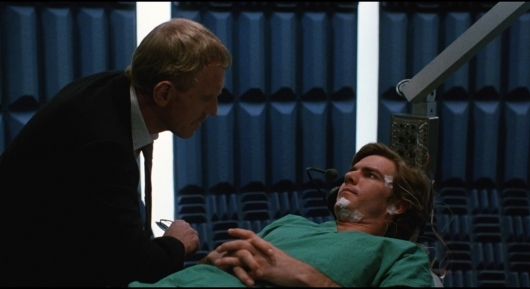 Co-written by Ruben, David Loughery (Star Trek V: The Final Frontier), and Chuck Russell (A Nightmare On Elm Street 3: Dream Warriors, 1988’s The Blob), Dreamscape stars Dennis Quaid as Alex Gardner, a man with psychic abilities who is recruited by his old mentor, Dr. Novotny (Max von Sydow), to join the dreamscape project, a government-funded program to diagnose and treat sleep disorders.